It used to be that when I think about cookies, I would envision something with a little crisp somewhere. Over the baking years, I learned that cookies aren't defined by the crunch factor. It can be soft and cake-like too. 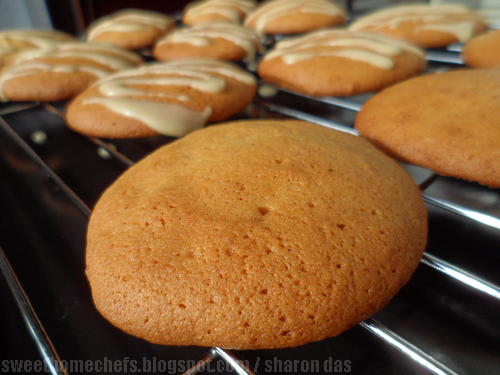 This pumpkin cookie recipe that I tried out the other day is just that - a scrumptious mini cake. I found it really addictive. So, if you have a weakness for eating more than you should, I suggest that you invite me over to help reduce the numbers available in your cookie jar. I'm kidding, of course. 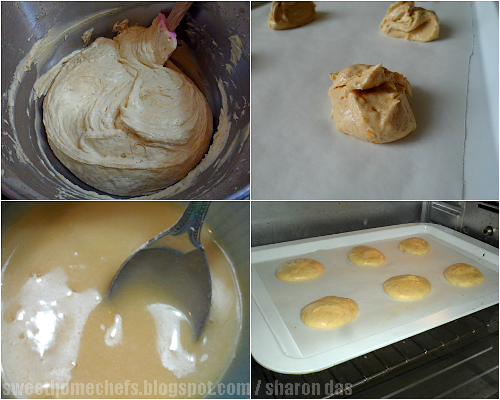 Click Old-Fashioned Soft Pumpkin Cookies for the recipe, which I found at the Very Best Baking website. 1) I replaced 1 cup canned pure pumpkin with the real deal. 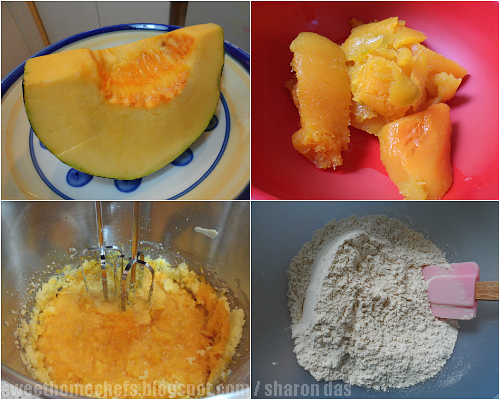 Steam fresh pumpkin (about 470g gave me just a little over a cup) with skin on, until tender. That took me about 30minutes. Scoop the flesh out and mash. Leave it on a strainer to drip excess liquid away while you collect and mix the rest of the ingredients. Add in as instructed. 2) I went with baking paper, instead of greasing the pan. 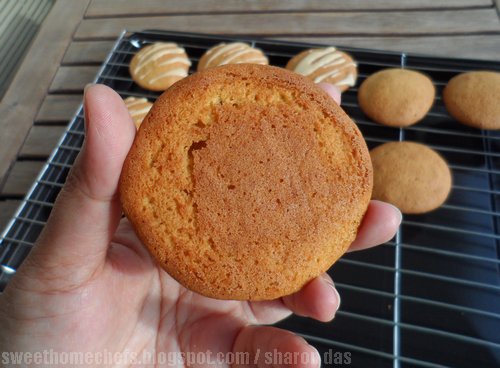 3) I baked mine at 165C for 12-13 minutes, just over a baking tbsp size each, which gave me about 44 pieces. Tip: Don't be too quick to prepare the glaze because it will begin to harden soon enough. Honestly speaking: It's tasty enough without the glaze, and may even be 'too sweet' for some people. However, I like the sugar glaze because it adds a little crunch on top. On my next attempt, I will work on reducing the sugar in the dough so that I can glaze with abandon. combining the flour, beating wet and dry ingredients together. 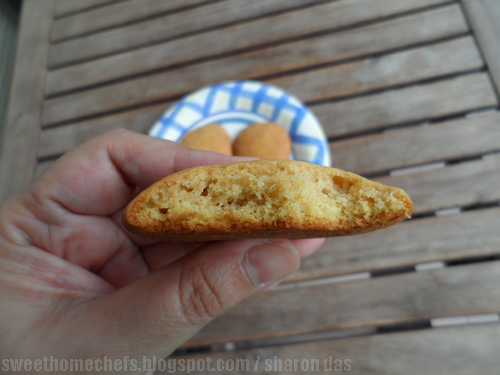 Have you baked a cake-like cookie before? We will have a pumpkin in September. So I have to time to check it. I'm looking forward to the pumpkin season. There's so many interesting recipes to try. The glaze looks pretty but I wouldn't having these cookies without the glaze. I was always under the impression that all cookies come with a crunch. I did bake a cake-like variety once but I made some mistake with the proportions. 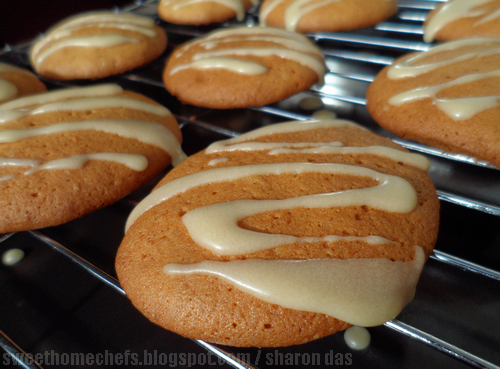 Would love to bake these and pumpkin is often used in my kitchen. I have bakes many cake like cookies as an excuse to have cookies for breakfast :) These look great! I am such a cookie lover! And these look perfect enough to save for the fall. Hurry up fall! Well, there is no reason to wait! Oh wow I just drooling looking at your cookies photo! Yum! I've not tried any pumpkin cookies before. Won't you send me some?? Hahaha! 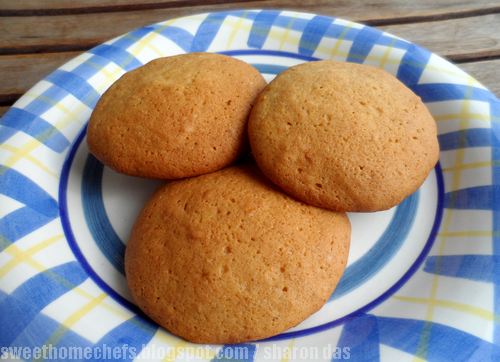 I love the texture of these cookies...looks delicious Sharon!